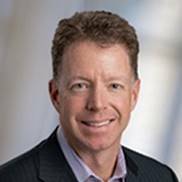 San Diego - May 3, 2018 - Cibus, a leading advanced plant breeding company using the latest gene-editing tools to produce food, crops, grain and seed for global markets, has appointed Jim Hinrichs as Chief Financial Officer. Hinrichs brings more than twenty-five years of extensive experience to the company. Most recently, Hinrichs served as the Executive Vice President and Chief Financial Officer of Alere, Inc. where he initiated a company-wide performance improvement program targeting over $150 million in annual savings through integration, standardization and scale-building projects. In October 2017, the company was sold to Abbott Labs for more than $7 billion. Prior to working at Alere, Inc., Hinrichs served as Chief Financial Officer of CareFusion Corporation where he expanded operating margins and divested eight companies while acquiring six, with a total transaction value greater than $1.5 billion. He also drove a corporate-wide performance improvement program resulting in over $100 million in annual savings while reducing the financial department expense by more than $15 million annually and overseeing a staff of more than five hundred. In March 2015, CareFusion was sold to Becton Dickinson for more than $12 billion. Hinrichs’ experience includes decades of financial leadership with a range of companies that include Cardinal Health, Merck & Co. Inc. and Sangstat Medical Corporation. He holds a Master of Science degree in Industrial Administration from Carnegie-Mellon University. Cibus is an innovative company developing novel characteristics across a broad range of organisms. The company has a worldwide presence, with subsidiaries in Europe and North America and a state-of-the-art research and development center in San Diego, California. In crops, Cibus is offering its first commercial product, SU Canola™, and building a pipeline of crops featuring beneficial characteristics, including healthier oil profiles, disease resistance and drought tolerance. Nucelis, a wholly-owned subsidiary of Cibus, uses Cibus' RTDS™ technology platform to develop high value, sustainable products in microbial platforms for the food, flavor and fragrance and personal care markets. Cibus’ core purpose is to lead the transition to sustainable non-transgenic products and improved human health by harvesting nature’s diversity. For more information, visit cibus.com.